I will be joining Miguel at St. Oberose for José Saramago Month in November. Saramago (1922-2010) was a distinguished Portuguese writer and 1998 Nobel Prize in Literature winner. 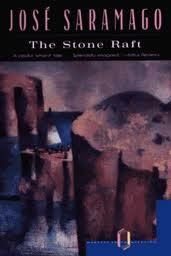 For the month I will be reading and posting a blog on The Stone Raft. I have only previously read one other work by Saramago, Baltasar and Blimunda. I loved that work, my commentary on that it is here. Anyone interested in joining or for more information on Saramago should head over to the above link. While over there please check out Miguel's blog. His site is literary, witty and full of smart observation. Disclosure statement: The author is a personal friend. Jennifer L. Anderson is Assistant Professor of History at the State University of New York at Stony Brook. 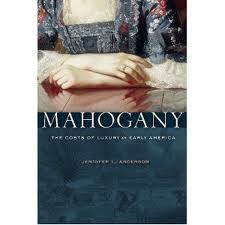 Mahogany: The Costs of Luxury in Early America by Jennifer L. Anderson is a fascinating, intricately researched and detailed chronicle covering the early history of the adaptation of mahogany into a product that has been used and prized by the human race. This is a surprising exposition on how this wood played a vital and vibrant part in world history as well as in the lives of people. For a book that seemingly is concerned with a narrow subject, this work covers an enormous amount of ground. The history of European colonization, as it relates to mahogany, and of the multiple regions where these trees grow and were harvested is covered in great depth. These regions include a multitude of countries spread out among most of the Caribbean and parts of Central America. Details of the mahogany trade as well as the achievements of cabinetmakers that fashioned this wood into all kinds of products are brought to light. The natural science, botanical discoveries and advancements relating to mahogany and its native regions are detailed. Finally the sociological and psychological aspects relating to people’s image and acquisition of mahogany products are explored. By devoting lots of words to the history of individuals, Anderson infuses character and sheds significant light into the pages of this work. These histories are not presented in textbook fashion; instead this book is filled with the stories of real people whose lives were impacted and in turn impacted the human-mahogany connection. Personal narratives of individuals such as cabinetmakers, merchants, ship captains, seamen, plantation owners, average people who resided in the regions, and, most notably, slaves are very well told in this book. These stories are illustrative of both the subject matter as well as the region and times in which these people lived. These narratives are often detailed and never fail to fascinate. Anderson devotes many words to the plight of the slaves who were instrumental in the early harvesting and processing of this wood. From Jamaica to the Bahamas to the modern day nation of Belize and elsewhere, bands of mahogany “hunters,” composed of slaves, would set out on expeditions deep into the forests in order to search for, cut down and transport these trees. As it was for slaves throughout the world, conditions were often brutal. However, Anderson illustrates how the mahogany industry sometimes created different conditions for some of theses people as opposed to slaves who were employed in more traditional agriculture and industry. In certain places, the nature of this work allowed a little more latitude of movement, action and responsibility. In Belize, it opened up opportunities for escape and even occasional opportunities to bargain with the slave masters. There are several very human and intriguing stories that illustrate the experience of slaves in the book. This is also a story of resource misuse, the lack of conservation and of environmental destruction. Anderson chronicles how, in habitat after habitat, the great trees were ruthlessly cut down, chopped up and transported away. Vast areas of the western hemisphere’s tropics were deforested. Amazingly, Anderson notes several instances of eighteenth and nineteenth century observers predicting some degree of climate or weather change as a result! Some nations, particularly Haiti, were left with a dearth of resources once the trees were gone. Today, several species of mahogany trees are now endangered with very few of the great old specimens remaining in the world. Anderson very effectively illustrates, in an almost poetic way, how destruction of this natural wonder, and, in a way, this human suffering was transformed into the highly crafted furniture and other objects that were produced during the eighteenth and nineteenth century. I highly recommend this for anyone interested in the history of this time and era or in the European and American expansion into the western hemisphere in general. This work will be of particular interest for those wanting to know more about slavery, early environmental destruction and ecology, furniture making or botany involving tropical hardwoods. Those who enjoy personal historical narratives will also find this book a delight. Anderson has crafted a lively and informative book that covers almost every aspect of the interaction between people and these trees during the seventeenth and eighteenth centuries. Furthermore, Mahogany: The Costs of Luxury in Early America is the story of the dark side of western civilization’s exploitation of people and nature that is part of a very important big picture of humans and our history. 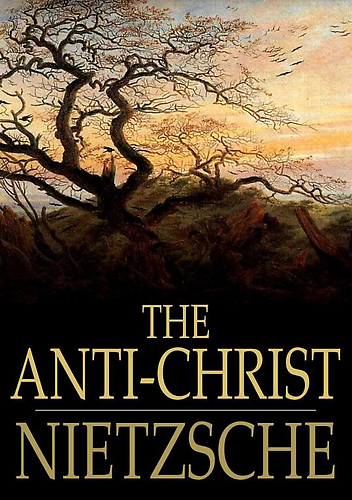 The Anti - Christ is the forth work that I have read by Friedrich Nietzsche. My recent commentary on On the Genealogy of Morals is here. I read the Horace B. Samuel translation of this treatise. For Nietzsche, the problem with the concept of immortality and the afterlife is that it focuses human attention away from the reality of life, and is thus the worship of death and, therefore, abominable. He condemns belief systems that distract people from reality. Nietzsche extolls the virtues of what he considers to be high civilization, principally the Roman Empire, as well as the Islamic Empire. He sees those societies as great, having existed without guilt and decadence. In the philosopher’s eyes, these civilizations were springs of culture, learning and science that were not burdened by ideas that make humanity weak. In addition, he admires these empires for their warrior ethos. 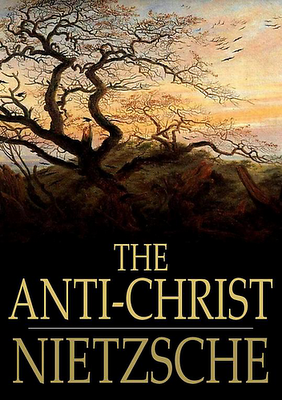 There are a plethora of additional arguments here, all illustrating how Nietzsche believes that Christianity and its supposed offspring, socialism, anarchy and democracy, have destroyed high civilization. I certainly disagree with certain aspects of the Christian belief system. However, on almost every level, Nietzsche’s arguments simply do not hold water for me. I believe that human progress has resulted from a combination of ideals. These include the drive and will of the individual to succeed despite societal constraints that Nietzsche champions. However, human progress has also been driven by the tendency to exhibit compassion and charity, ideals that the philosopher treats with contempt. Furthermore, much of the tendency in people that Nietzsche defines as a “slave morality” is clearly built into our genes. I also find many flaws in Nietzsche’s views of history, sociology and psychology. For example, he attributes the fall of Rome entirely to the spread of Christianity. He also gives too much credit to Christianity by implying that the world would be mostly devoid of charity, democracy, the philosophy of equality, etc. without it. His reasoning is, on some issues, utterly without nuance. He is full of hatred towards thought systems and people that he disagrees with. As a result, I find this treatise to often be childish and downright silly. To be sure, Nietzsche has been influential on subsequent belief systems. For example, his thoughts have not only heavily impacted the philosophies of Libertarianism and Objectivism, but even upon deeper and more reasoned thinkers such as D.H. Lawrence and Hermann Hesse. He does delve into extremely audacious and uncharted territory. He is opinionated and, at times, lays out interesting arguments. He often exhibits great insight. I also remember other works by the philosopher, such as Thus Spoke Zarathustra and Beyond Good and Evil as being less vitriolic as well as a little more levelheaded. However, at least when it comes to this work, for me, these attributes do not compensate for the immaturity and the flawed nature of these writings. Traitor To His Class: The Privileged Life and Radical Presidency of Franklin Delano Roosevelt by H.W. Brands is a large and fairly comprehensive account of Roosevelt’s life and times. Brands has written an in-depth and thought provoking biography that should also be an entertaining page turner for anyone interested in this period of history, as well as for those interested in how the modern world came to be. This book is not without its flaws, however. Brands’ biography is a mostly positive depiction of America’s 32nd President. Born in 1882, Roosevelt was raised in a world of wealth and privilege. He grew up near presidential power, being a cousin to Theodore "Teddy" Roosevelt, America’s 26th President. His mother, Sara Ann Delano Roosevelt was possessive and at times domineering. In 1905 Roosevelt married his cousin, Eleanor Roosevelt. In 1918, Eleanor discovered that Franklin was having an affair. Afterward, she went on to have her own extramarital relationships and the marriage become more of a partnership. Eleanor’s life is in itself a fascinating story and Brands spends a good deal of pages exploring it. Roosevelt worked his way up though both elected and appointed State and Federal government as well as Democratic Party positions. After an unsuccessful bid for Vice President in 1920, he contracted polio. The disease left him unable to walk without artificial aids for the remainder of his life. Undeterred by the disability, Roosevelt was elected Governor of New York in 1929. After the onset of the Great Depression, he was well positioned for a Presidential victory in 1932. It is surprising that this great reformer was elected under a relatively conservative platform. President Roosevelt shepherded America though the Great Depression. His “New Deal” was a series of laws that fundamentally changed the United States and still resounds into present times. Later, he was a key architect of the Allied victory in the Second World War. Brands’ book is often very detailed. 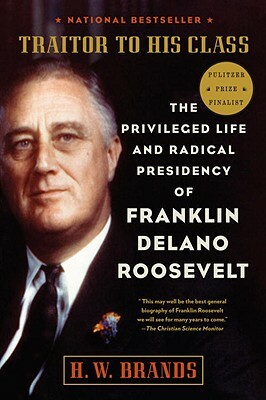 He provides a vivid account of Roosevelt’s life and career. The New Deal legislation, as well as the men who helped Roosevelt to design and implement it, are covered in intricate depth. The years leading up to and through World War II are similarly explored. This book is not without some weaknesses, however. I found it slightly frustrating that, for all its attention to detail, in some aspects this biography seems to skim over key details and provides a weak analysis of certain important controversies and topics. For instance, there is a somewhat heated debate these days concerning whether or not Roosevelt’s policies ended and/or ameliorated the Depression. Brands skirts around this issue. He does provide accounts of various Roosevelt Administration officials’ opinions and analyses of this question, but fails to provide detailed statistics or economic or objective political analysis to help understand it. In the book’s conclusion, Brands devotes a few paragraphs to the subject but I would have appreciated a little more space dedicated earlier on to the issue. A similar treatment is accorded to the argument, which I call a myth, that in 1945 during the Yalta conference between Roosevelt, Churchill and Stalin, that Roosevelt somehow gave away Eastern Europe to the Soviet Union. Brands does explain Roosevelt’s actions at the conference in a positive light and hints at the controversy. I feel that there was room for a more in-depth analysis here as well. Likewise, Brands poorly handles what was the darkest moment of the Roosevelt administration, the treatment of Japanese Americans during World War II. After the Japanese attack upon Pearl Harbor, Americans of Japanese descent, who were born in the United States and who were American citizens, were rounded up and placed into camps for the duration of the war. To add insult to injury, most of these people had their homes, businesses and farms stolen by opportunistic neighbors who took advantage of their fellow citizens’ misfortune. This outrage, directly approved by Roosevelt, was one of the most egregious violations of the rights of American citizens during the twentieth century. To my surprise, Brands devotes only a few pages to this reprehensible, unconstitutional act. Furthermore, while conceding that it was prompted by hysteria, Brands almost excuses Roosevelt’s decisions here as occurring under the pressures of war. Regardless of these flaws, this is a solid account of Roosevelt and his life. The author clearly portrays the fact that this President was one of the key makers of the modern world. In the first days of his administration, Roosevelt took steps to forestall the collapse of the American banking system. This bold and decisive action may vary well have staved off a revolution in the United States (my contention, not Brands’s). His New Deal Legislation changed the way that people throughout the world thought of government. These policies expanded the size and scope of government to unprecedented levels. It was characterized by massive public works projects, the American Social Security system, and government regulations in an entire host of areas such as finance, monetary policy, labor relations, etc. Roosevelt did not invent many of these initiatives; he did, however, put them together into a package to forge what I would describe as a modern capitalistic democracy with a government aimed at promoting the social good. Twenty-first century democratic nations throughout the world are in part the legacy of Roosevelt’s policies. If helping to invent the modern industrial and post industrial democracy was not enough, Roosevelt played a key, and I would argue the most important role, of any individual in defeating the Axis as well as shaping the postwar geo-political world. Well before America’s entry into the Second World War, Roosevelt focused the massive industrial production of the United States towards defeating the Axis. From 1937 on, Roosevelt began implementing a political and industrial strategy aimed at supplying Great Britain, China and the Soviet Union with massive military aid. This material assistance certainly changed the course of the war and allowed these nations to hang on against the Axis onslaught. Simultaneously, he maneuvered the United States into a policy of confrontation with Germany, Italy and Japan. By the time the war broke out, conflict between the United States and the Axis powers was inevitable. Of course, after the United States’ entry into the war, Roosevelt, Churchill and Stalin were the prime movers of allied strategy that led to the eventual defeat of the Axis. Though he did not live to see the post war world, he was instrumental in creating much of it. He championed the founding of the United Nations and firmly established the concept of an active and engaged American foreign policy that so affected the globe in the ensuing decades. “the objective and honest of those who had once denounced Roosevelt for class betrayal recognized that in a decade rife with fascists, militarists, and communists abroad and irresponsible demagogues at home, he was the best thing that could have happened to them." If one wants to understand the modern world and how it got to be the way it is, then one must understand Roosevelt and his administration. It can be argued that this man was the most influential person of the twentieth century. As a student of history, despite Roosevelt’s defects, I am in awe of his accomplishments. Though it is difficult to say for certain how history would otherwise have played out, the world may look very, very different today had he not become the American President in 1932. This book is an informative and relatively complete account of his life and accomplishments.